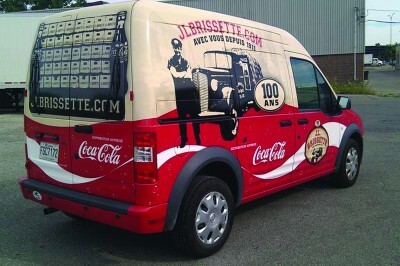 In June 2013, the Private Motor Truck Council of Canada (PMTC) announced the winners of its 28th annual Vehicle Graphics Design Awards competition, co-sponsored by 3M Canada. This year’s awards were again presented at a special luncheon during PMTC’s annual general meeting and conference in King City, Ont. 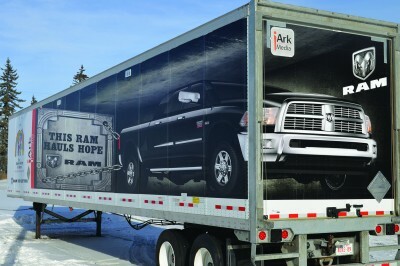 Colourful truck graphics were honoured in six categories. Award—National Graphic Solutions for Saputo (pictured). Award—Toronto Digital Imaging for NatureFresh. 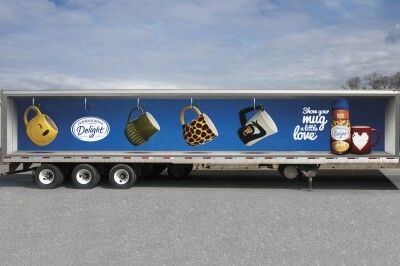 Honourable Mention—Toronto Digital Imaging for Sobeys. Award—Toronto Digital Imaging for Chenall. 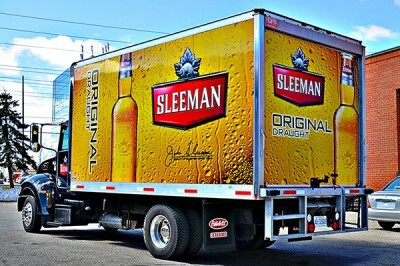 Award—Maher Sign Products for Sleeman (pictured). Honourable Mention—Toronto Digital Imaging for Tradition. Award—National Graphic Solutions for Big Ridge Brewing. Honourable Mention—Toronto Digital Imaging for Coca-Cola (pictured). Award—Toronto Digital Imaging for Cheetah Power Surge. Award—Artcal Graphics for Fire Roasted Coffee. 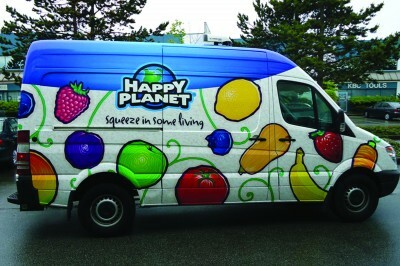 Honourable Mention—National Graphic Solutions for Happy Planet Foods (pictured). Award—Toronto Digital Imaging for Labatt Breweries. 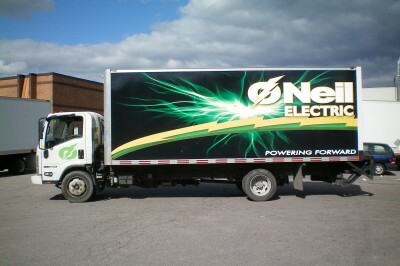 Award—Toronto Digital Imaging for ONeil Electric (pictured). Honourable Mention—Toronto Digital Imaging for ITN Logistics. Award—Advantage Vinyl and Design for Scotlynn Commodities. Award—Toronto Digital Imaging for Giant Tiger. Honourable Mention—iArk Media for Trailer Wizards (pictured).